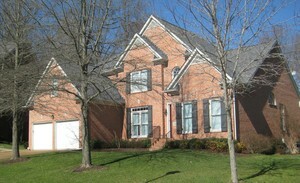 Fieldstone Farms homes for sale in Franklin TN are located on the north end of town off Hillsboro Road. You will find a variety of homes here from small one-levels to large executive-style homes in a gated community. Fieldstone Farms is the largest neighborhood in Franklin with almost 2,100 houses. Nashville is a short drive down Hillsboro Road making for an easy commute. The variety of housing options, great neighborhood amenities and close proximity to shopping and dining make this an appealing location to residents. Fieldstone Farms offers a variety of housing from 1,100 square foot one-level homes to 6,700 square foot estate homes in The Reserves gated section. Homes were built in the early 1990's to 2000's. The Fieldstone Farms Swim & Tennis Club is located at 1530 Lexington Pkwy. 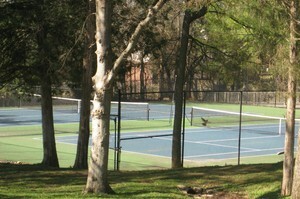 There are four tennis courts, a large swimming pool and fitness center. Fieldstone Park off Hillsboro Road provides 37 acres of green space, softball fields, two pavilions, childrens' playground, grills and restrooms. Fieldstone Farms is a short drive to historic, downtown Franklin. There is also a Publix Grocery, Walgreens, FifthThird Bank and KinderCare, as well as, other shops and eateries located right in the neighborhood. The Williamson County Parks and Recreation Center is just a five minute drive. As is, the Cool Springs commercial district with lots of shopping and restaurants available. It's important to remember that school zoning is constantly changing. If schools are an important reason for your move, you should always verify zoning with Williamson County Schools. WHAT'S MY FIELDSTONE FARMS HOME WORTH? Are you interested in learning what your Fieldstone Farms home is worth in Franklin TN? Click the link to view the most recent sales data on this neighborhood. In addition, you can register for market report updates for Fieldstone Farms. Or click the photo below to get your instant home evaluation. As experienced Fieldstone Farms real estate agents, we're here to help you find the right Fieldstone Farms home or sell your current Fieldstone Farms home. Below is a complete list of Fieldstone Farms homes for sale. Having previously sold homes in Fieldstone Farms, it is always our pleasure to assist both buyers and sellers with all their real estate needs.